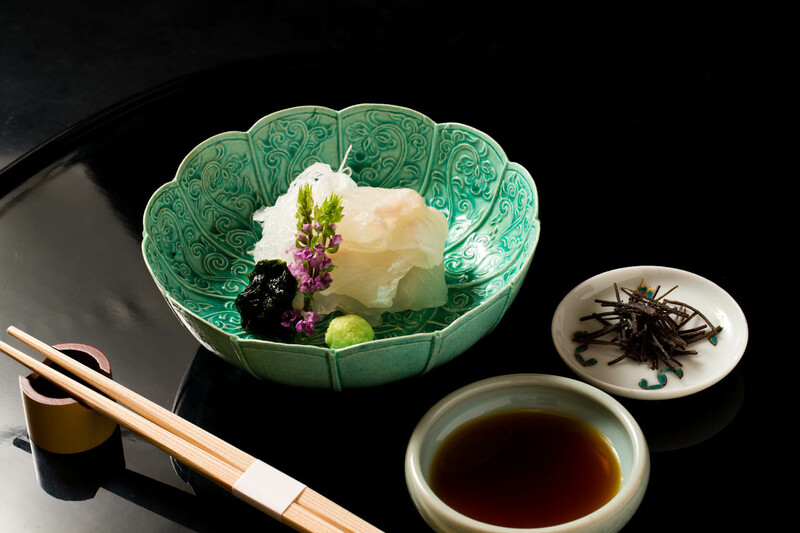 The complexity of Japanese simplicity, subtle flavors and artistry, in a setting that peaks the senses: CHIHANA epitomises the kaiseki dining experience and leaves you with the sense that now you have encountered true Kyoto hospitality. Once inside, you are surrounded by tea house aesthetics of the kind you saw in magazines before your journey began. The minimalist yet purposeful design is overflowing with authenticity. 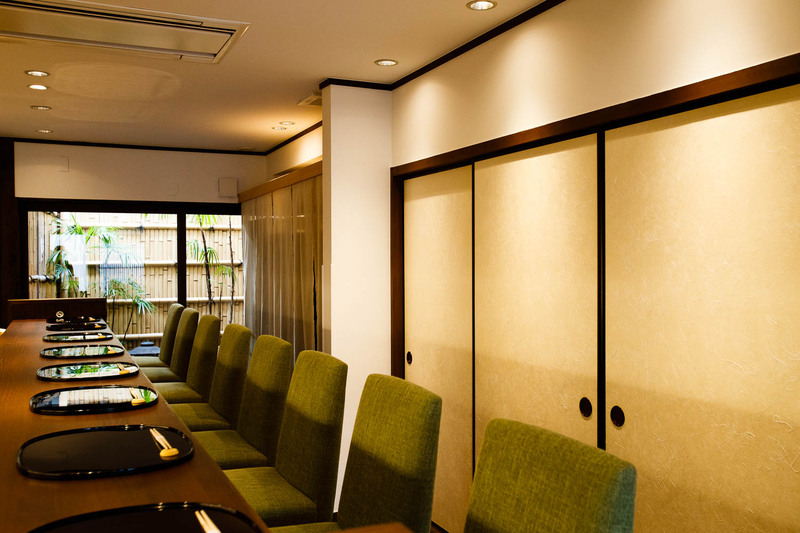 Led by the chef’s warm smile, you take a seat at the eight-seat counter or in a private room. Hundreds of little plates and sake cups with different personalities, colors and motifs, are on display and waiting to be chosen to present one of the chef’s delicious dishes. 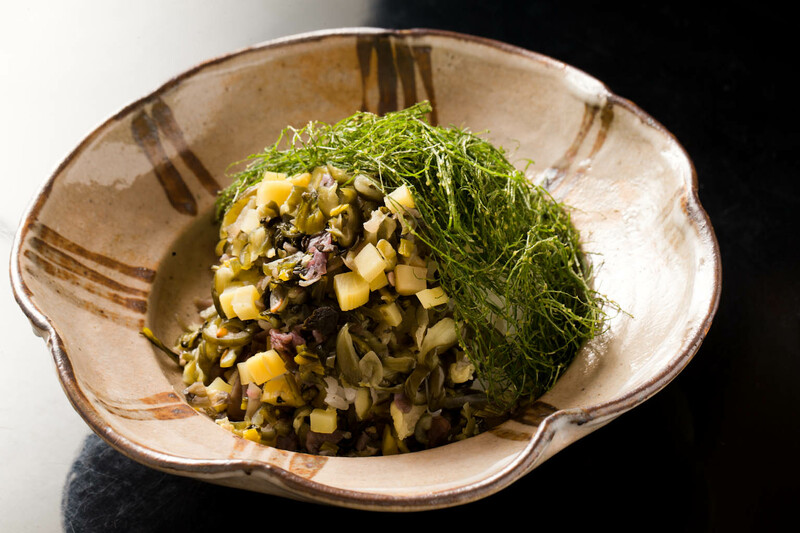 CHIHANA offers classic Kyoto cuisine, closely guarding the tenets of seasonality and drawing out the very best of each ingredient’s innate flavors. Opened by the present chef’s father and loved by literary masters and politicians alike, the second-generation chef at CHIHANA has the weight of expectation on his shoulders. Three signature dishes are unchanged since his father’s time: fresh yuba – the layer that develops on the surface of gently boiled soy milk; the rice course using sticky rice; and a glass of freshly squeezed juice to complete your meal. 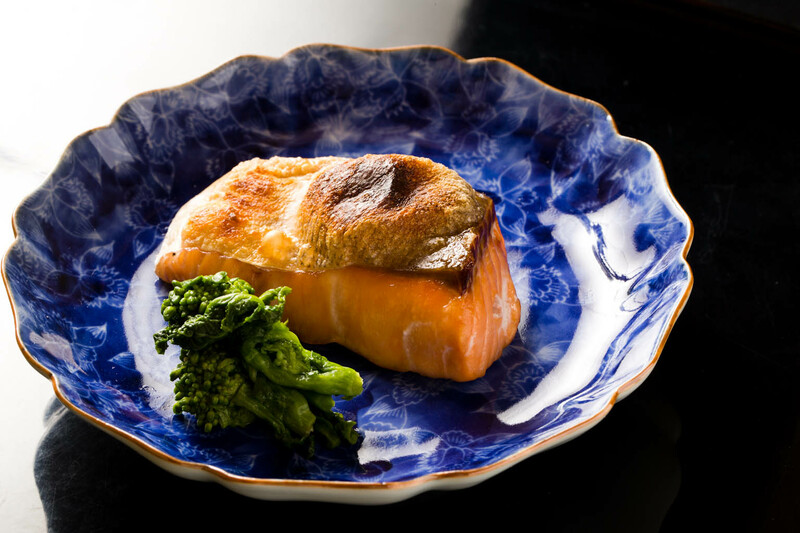 Every other dish has been created by Chef Katsuyoshi Nagata, striving to surpass even his father’s famed cuisine. Kaiseki is often enjoyed in a private room with your server quietly shuffling in and out, each time appearing with new elaborate dishes. 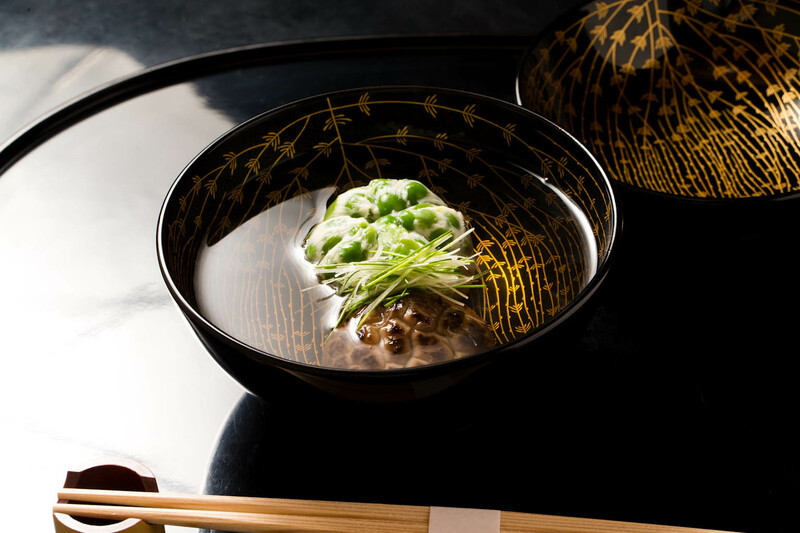 At CHIHANA, while private rooms are available, the kaiseki experience can be enjoyed at the counter, in full view of the chef’s swift hands at work, allowing for pleasant interaction and better understanding of the details behind each dish. The delicate and intricately prepared dishes begin to appear, and every course has a flash of green, reminding you that you partake in the goodness of nature with each bite. 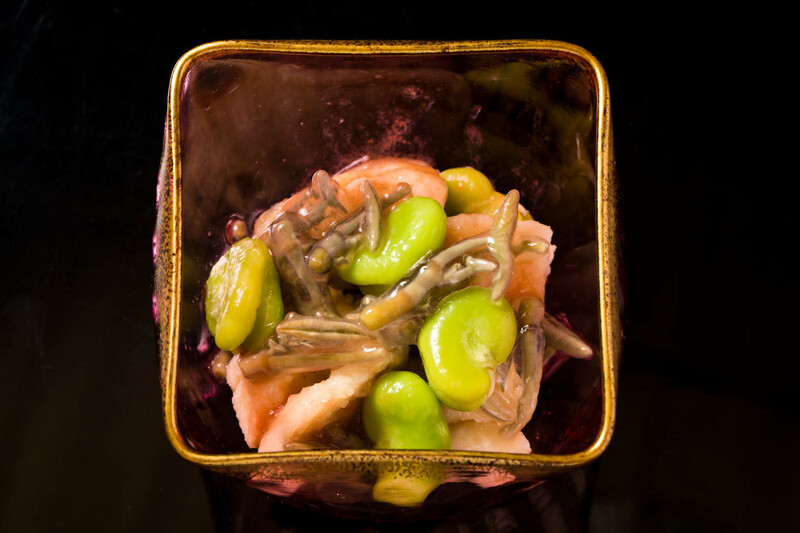 In early summer, a golden-edged glass dish has a sunset-like glow and holds shrimp, lily bulb, grilled conger eel, sweet potato and okra in a translucent golden gelée. 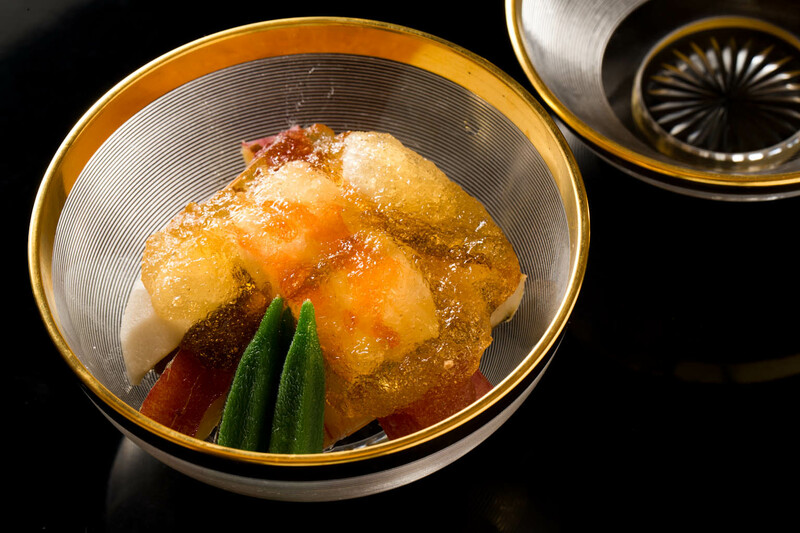 Sashimi of flounder from the Seto Inland Sea is accompanied by umami-rich julienned strips of dried kelp, followed by escabeche of succulent fat greenling fish served with junsai watershield plant, prized for its unique texture and cooling effect. 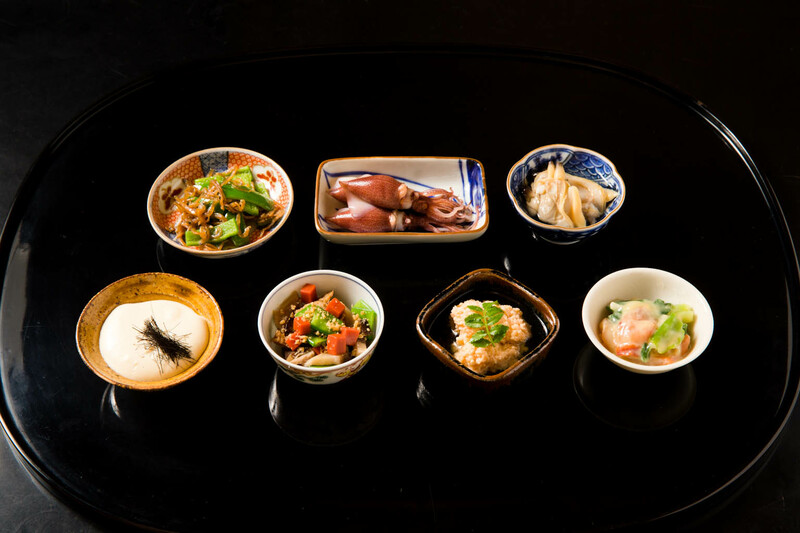 The hassun course follows with its array of seasonal foods in many small dishes, including fresh yuba with firefly squid, sea bream roe, blood clam with vinegar miso and green onion topping and Kyoto Manganji peppers. Next, a sumptuous yuba dumpling filled with fresh green soybeans, followed by salt-grilled ocean trout. Then, the pop of flavors from pickles and freshly sliced shiso perilla leaves served with sticky rice completes the meal. 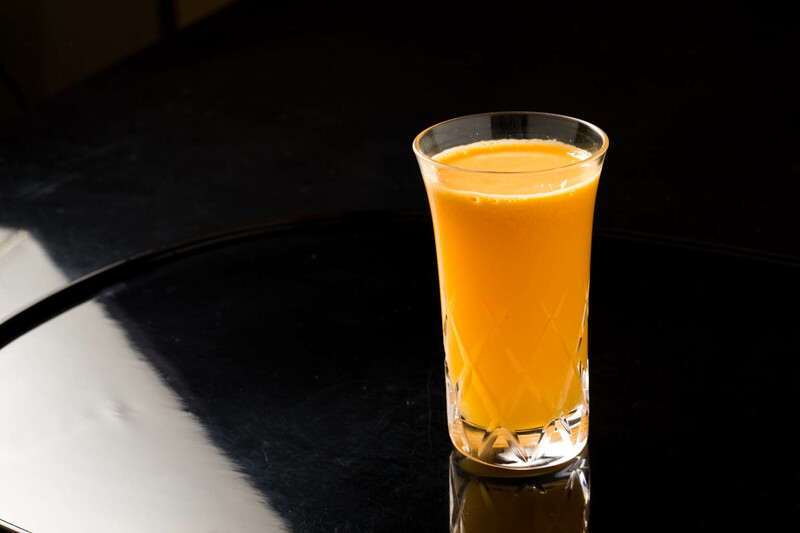 The only thing left to savor is a refreshing glass of freshly squeezed mixed orange and apple juice. There is an extensive selection of sake for pairing with your dinner, but the wine selection is exceptional. The chef has gathered many personal favorites, and the collection has gradually grown with his customer base and their preferences too. Chef Nagata sources his ingredients each morning at the Central and Nishiki markets, which buzz with the energy of chefs, locals and tourists, all seeking the best ingredients. He also talks to fisherman and farmers regularly, sourcing freshly harvested produce which is sent straight to the restaurant. He is very keen to stress that his focus is not simply on the origin of the items; the key is in the flavor. Katsuyoshi Nagata is the son of Motoo Nagata, who first lit the lantern at CHIHANA in 1946. Having led a playful and rather self-indulgent life through high school and university, it was clear to the younger Nagata that the only the way to make up for whatever trouble he had caused and show gratitude for his fulfilling life was to follow in his father’s footsteps. There was no question of which path he would take. Joining the kitchen at age 22, his father taught him nothing. The senior Nagata would point out when something was wrong, but not what was wrong or how to correct it. Katsuyoshi had to learn with his own eyes and nose, sniffing out ideas, then working to make it his own. His younger brother also joined the restaurant and the two sons stood by their father’s side as he coordinated everything from the counter. There could be no better way to show respect for their father. The older brother, Katsuyoshi, gradually polished his skills and started menu planning, and by the time he was 40 years old, was charged with running the restaurant. 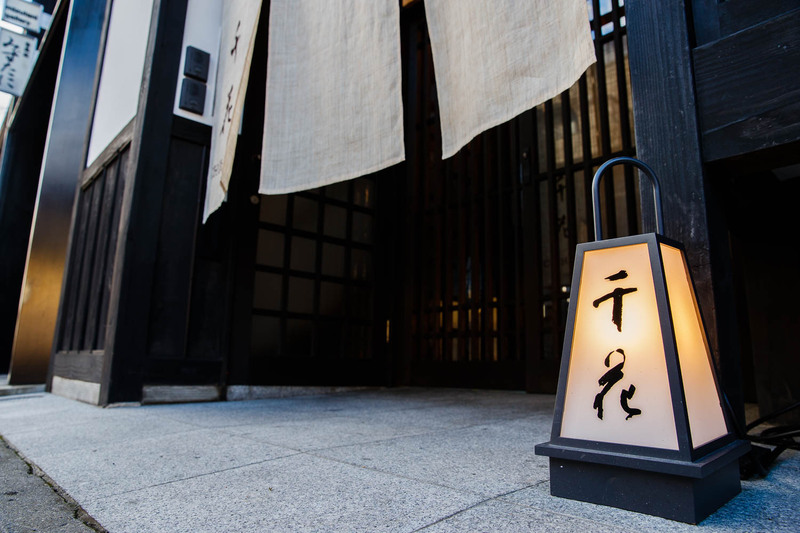 In 1988, when the restaurant was renovated into the sukiya style incorporating tea house aesthetics, the younger brother went out on his own to start Chihiro, a two-star restaurant nearby. Nagata finds inspiration for his cuisine all around him. He has deep admiration for traditional Japanese arts and literature. He is well-versed in Japanese song, calligraphy and ikebana. He observes that new things are always changing, but old things stay the same. The value of the latter is precisely in the fact that it has not changed – that is what he has learned from traditional Japanese arts. That is what he reflects in his cuisine. Flowers have taught him a deep awareness of the seasons and each new season calls for tableware with seasonal motifs, seasonal ingredients and even aromas associated with that moment in time. Having earned three Michelin stars, there is no doubt as to CHIHANA's success, and Chef Nagata plans to continue unwaveringly on the path he has followed until now. He has no plans to expand, but rather to seek and make the very best of what he has around him here and now. With regards to his apprentices, if they are equipped to go out on their own, he wholeheartedly encourages and supports them to do so. He feels it is his mission to nurture the chefs of the future. His simple wish is to continue making delicious cuisine, and to delight guests who dine at CHIHANA. He feels strongly that younger customers are the key to carrying on the traditions of Japanese cuisine, thus he feels a strong obligation to share the stories and incredible flavors of his food with them. For the most part, Nagata uses the tableware collection created by his father, who was particularly fond of pieces created in climbing kilns known as noborigama. 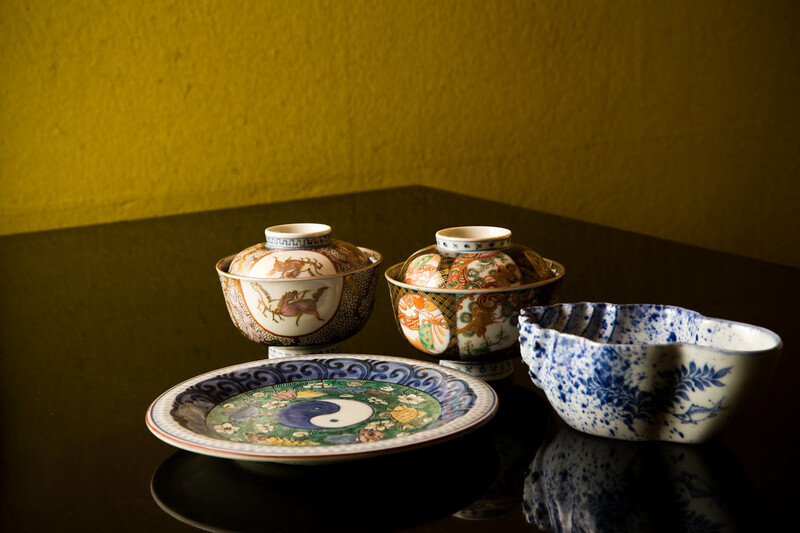 Tableware is selected not simply to enhance the appearance of the food, but to emphasize the seasonal theme of the meal. Centered in the design of one colorful plate is the yin and yang symbol, reminding us of nature’s cycle of change and how seemingly opposing forces can be interwoven harmoniously. Lacquerware bowls show heavy heads of rice ready for harvest, and the dynamic design of a fan-shaped dish makes it appear as though it is being flicked through the air, perhaps by a dancing Geisha. 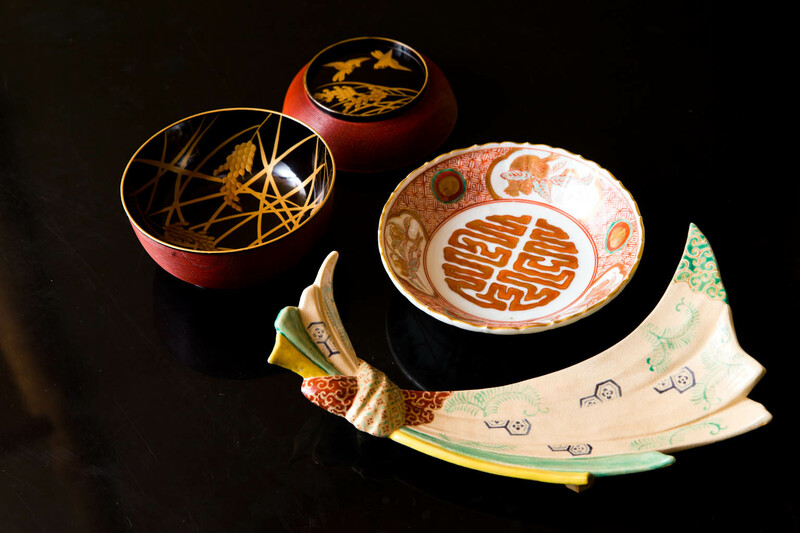 Besides a collection of breathtaking pieces by Rosanjin and other prominent artists, there are many unsigned pieces: as with ingredients, the name is not as important as the quality of the item itself.